The Connecticut Department of Motor Vehicles does a disservice to the motoring public by printing on their tickets that if a motorist sends in a speeding ticket with a plea of guilty they will not get “points.” While this is true, the Connecticut speeding or other CT moving violation ticket will still get recorded to your record. Your insurance company will still pick it up as a moving violation for their own merit point system and your insurance will still increase. Whether or not your vehicle is registered and insured in Connecticut, your insurance company will pick up the Connecticut speeding conviction and consider it under their own merit system to increase your insurance rates for the next 3 years. The goal of our Connecticut traffic court lawyers is to prevent a speeding or other moving violation conviction and thereby avoid an insurance increase for our speeding ticket clients. For example, CT speeding is Section 14-219 of the Connecticut Motor Vehicle Laws. Connecticut Speeding is a moving violation. However, CT MV L. § 14-251 is a non-moving state parking violation. Our office often plea bargains our clients guilty to a parking ticket § 14-251 from the original charge of speeding, Connecticut Motor Vehicle Law § 14-219.We could also plea bargain for a different non-moving violation such as the equipment violation of inoperable headlight, MV § 14-96, unsafe tires, MV § 14-98, or obstructed windshield, CT MV § 14-99(f). Another thing that the Connecticut Department of Motor Vehicles does not tell you is that racking up speeding convictions by pleading guilty to the charge, CT § 14-219, speeding, can cause a license suspension. Under CT Motor Vehicle Law § 14-111(b) upon a 4th Connecticut speeding ticket conviction within a 2 year period the CT DMV suspends your license for 30 days; upon a 5th conviction 60 days; and upon a 6th or subsequent conviction six months. You would also want to fight a Connecticut speeding ticket if you received it for speeding in a school zone or work zone. 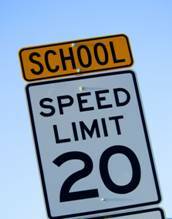 Fines are doubled when convicted of school or work zone speeding. The charges are usually excessive because in addition to the zone the speed limit is usually reduced from the roadways normal speed. Convictions for speeding in a Connecticut school zone or speeding in a CT work zone also have an amplifying effect on the insurance increase which is sure to follow. Often times it is worth fighting a speeding ticket even if you have to take it to trial. Our lawyers are skilled speeding ticket traffic court lawyers and know how to present a case to get your ticket dismissed. However, even when a full dismissal is not possible we are often to able to get a reduction of your CT speeding ticket, § 14-219 of the CT Motor Vehicle Laws, reduced through the trial process. Often while the state can sustain a speeding charge they cannot sustain what they charged you with. For example, our office often creates enough doubt as to the veracity of the state’s case so that you could be found guilty of speeding 15 MPH over the limit, not 25 MPH over the limit as charged. Such a difference can avoid or diminish an insurance increase. Likewise, if the state cannot prove an active school or work zone, then the regular speed limit of the road applies and that could result in a dismissal of the charges as well. If you are looking to hire a lawyer to fight your Connecticut speeding ticket you have come to the right place. Our office is one of the top rated traffic ticket defense law firms in the State of Connecticut. Headquartered in Hartford Connecticut and with a satellite office in Mamaroneck, NY local to Fairfield County, CT our office defends Connecticut speeding tickets throughout the State of Connecticut. We defend CT speeding tickets in all Connecticut county traffic courts (Fairfield, Middlesex, New Haven, New London, Litchfield, Hartford and Windham Counties) as well as all Connecticut Geographical Area traffic courts and Connecticut Judicial District traffic courts. We also offer convenience and peace of mind. When you retain our traffic court lawyers and law firm, you never have to go to court or come to our office. We do everything for you. We also charge one low flat fee – one price no matter how many times we have to go back to court. 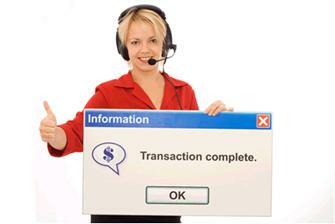 The process works as follows: We e-mail you our retainer. You sign it and either fax or mail it back to our office with the ticket. You can pay by personal check or credit card. And that’s it! Once we receive the signed retainer, ticket and payment you do nothing more we handle it from that point on.